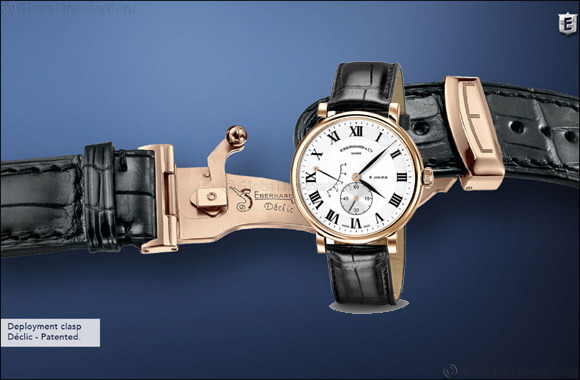 Dubai, UAE, January 14, 2019: Eberhard & Co's new take on the elegant and classic 8 Jours manually-wound watch that offers whole 8 days of power reserve is the memorable 8 Jours Grande Taille, a reimaging of an icon that will make for the perfect gift over the festivities. • 18 ct. Pink gold buckle e&co.